Loverly Lip Gloss, Sunrise Creme to Powder Blush and Cool Pebble Eye Shadow. 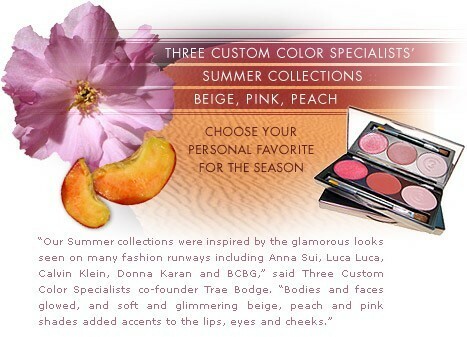 Babette's Favorite Lip Gloss, Rebecca's Favorite Creme to Powder Blush, Warm Nectar Eye Shadow. Pink Diamonds Lip Gloss, Violet Creme to Powder Blush, Cool Peony Eye Shadow.